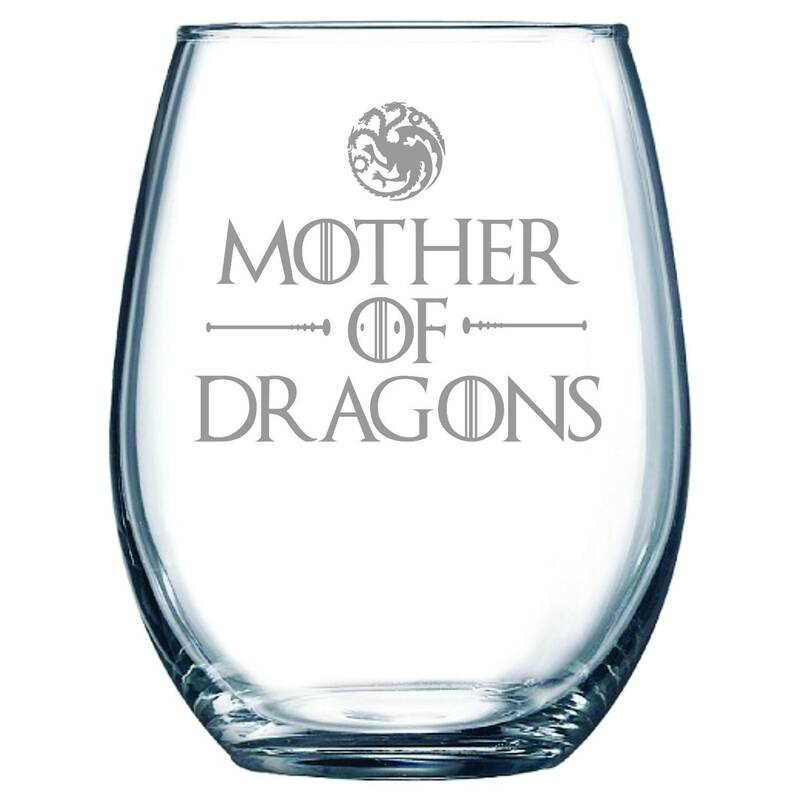 A great gift for any Games of Thrones fan. 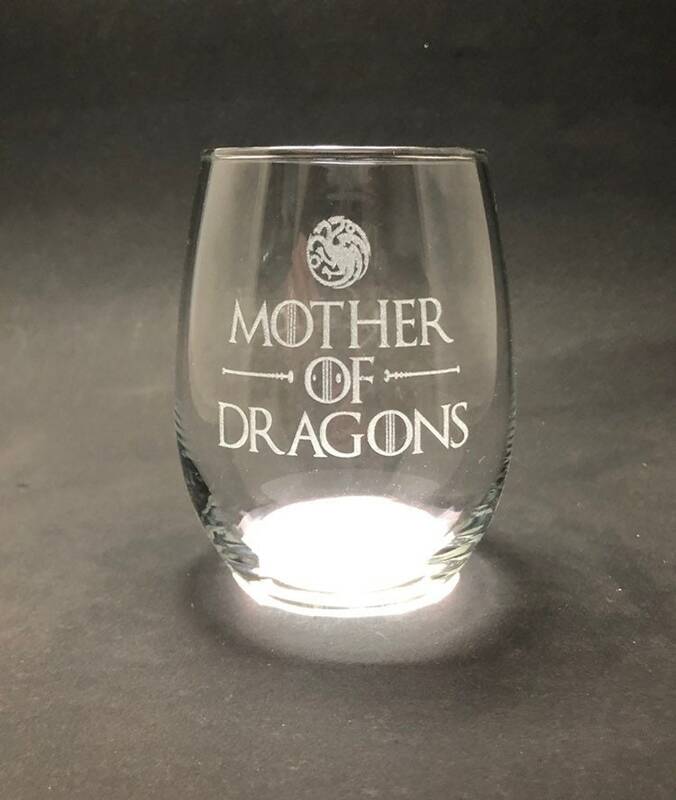 Mother of Dragons is etched into this glass in a GOT style font. Exactly what I was looking for. Quality is fantastic and I love that it is dishwasher safe. Absolutely love it! It’s in great condition and arrived on time. I love this wine glass! It came out perfect and shipped on time! The glasses are perfect! They came really quickly, couple days. The communication when i needed to change the shipping add was really quick and easy as well. Love them, can't wait to use them during the GOT premier!